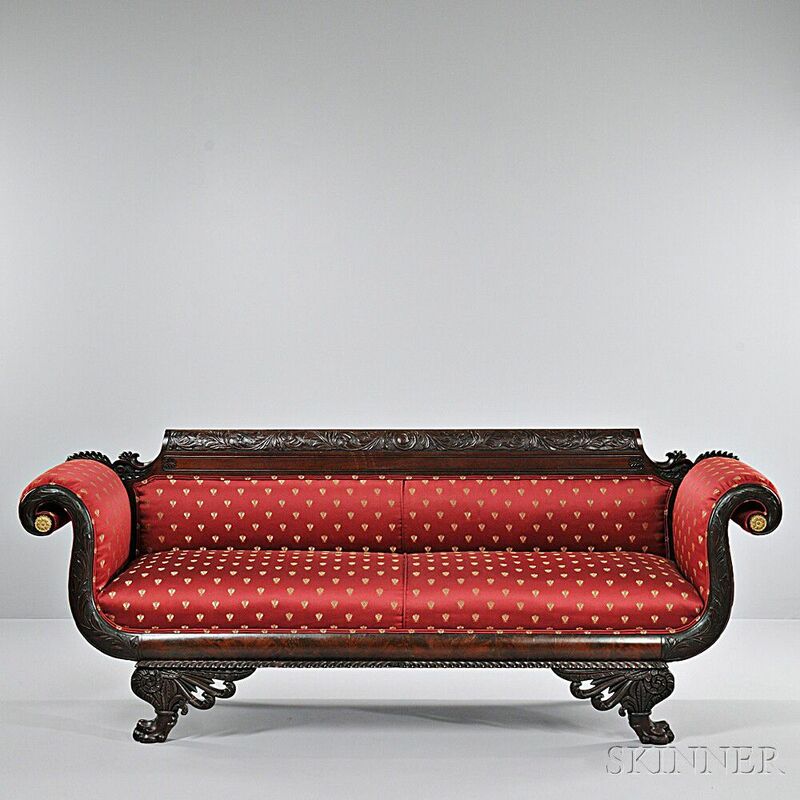 Classical Carved Mahogany Sofa, New York, early 19th century, the crest with carved panel of acanthus scrolls on a punchwork ground, above the scrolling arms with similarly carved fronts, on a convex molded and gadrooned front rail joining foliate and scroll-carved legs ending in paw feet, ht. 35, lg. 89 1/2, seat ht. 18 in. 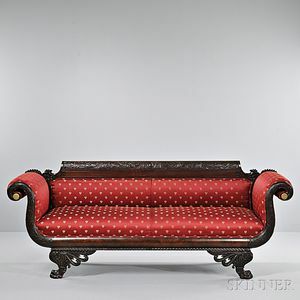 The sofa has old refinish. Old repair to the scroll work on the left side, left rear foot and front right foot.